Port Elizabeth - The Kings go into Saturday's PRO14 clash against Connacht at The Sportsground looking to recover from the 57-10 hammering they received at the defending champion Scarlets in week one. That was the toughest of introductions for coach Deon Davids and his men, but there were some encouraging signs. At half-time in that match the Kings were very much in the contest, trailing 15-10, but the wheels came off in a big way in the second period. The task is another tough one this weekend against the 2015/16 PRO12 champions. 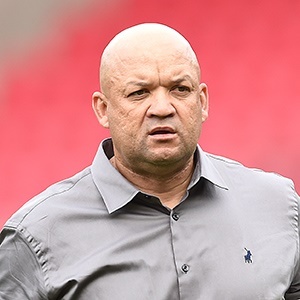 Following a successful Super Rugby campaign this year, Davids is being forced to start fresh with a new group of players after a number of big names left Port Elizabeth with uncertainty surrounding the future of the franchise. He knows it will take time, and he is keeping his expectations in check. "We never really knew what to expect because we didn't have the opportunity to play a friendly before we played the champions," Davids said of his side's first taste of European rugby. "I thought in the first half the guys responded well. There was a lot of learning to do in a very short space of time. The guys responded well to the challenge. "We always knew that we were going to struggle with some combinations and also in terms of our match fitness, but I think that will get better as we go on. "We're still in the process of working on finding fluency within our system and an understanding of how we do things and what we want to achieve. "We will take it step-by-step to try and progress in all of these areas and hopefully see the team improve as the competition goes on." On his opposition for Saturday, Davids had done his homework. "Connacht is a very physical and direct team. They've got a a good work ethic and they also play an expansive type of rugby and they will bring a lot of challenges to our defence line over the width of the field," he said. "We just want to build on that first half were there were a lot of positive things and ensure that we can keep on with that for a longer period of the game."